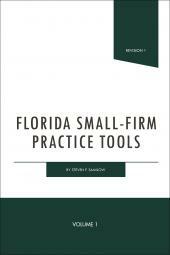 An invaluable reference not only for attorneys in Delaware, but also for practitioners all over the country. 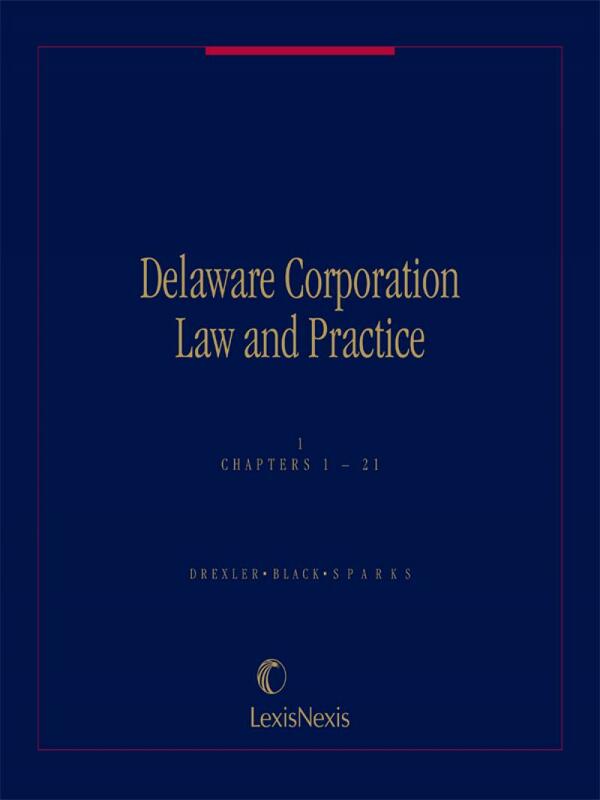 Delaware Corporation Law and Practice is an invaluable reference not only for attorneys in Delaware, but also for practitioners all over the country. 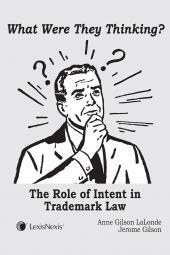 Three national authorities provide in-depth, section-by-section analysis of the General Corporation Law of Delaware, dentifying trends and clarifying case law interpreting the statute. 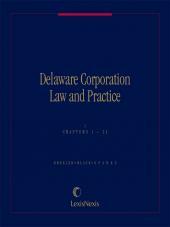 Delaware Corporation Law and Practice saves you time and effort by organizing this wealth of information by topic in two quick-access volumes - complete with statutory appendices, sample forms and a table of cases. A. Gilchrist Sparks III is Of Counsel at Morris, Nichols, Arsht & Tunnell in both the Corporate and Business Litigation and the Delaware Corporate Law Counseling Groups. His practice is concentrated in litigation and counseling arising from mergers and acquisitions and disputes relating to the governance of Delaware corporations. He was named Best Lawyers’ 2010 Delaware Lawyer of the Year in Mergers & Acquisitions Law, Best Lawyers’ 2009 Delaware Lawyer of the Year in Corporate Law, and Directorship 100's One of the most influential players in corporate governance (2007). He was selected as one of the leading M&A lawyers by the Legal Media Group's Guide to the World's Leading Mergers and Acquisitions Lawyers (2008). Chambers USA: America's Leading Lawyers for Business describes Gil as the "dean of the [Chancery] bar".